The Sustainable Urban Agriculture and Community Garden Program (SUACG) was created by Austin City Council in 2009. The purpose is to establish a single point of contact and streamline the process for establishing community gardens and sustainable urban agriculture on city land. SUACG seeks to connect the dots between all the efforts that make up Austin's local food system, building partnerships around local food production and food security. Our broader goals include providing leadership, education, policy analysis, and project development support for the City of Austin’s community-based food system. A City Endorsed Community Garden is an approved site for growing produce for non-commercial use. It is operated and maintained by committed volunteers and is divided into individual or shared plots and common areas. Some select City land can be made available for qualifying community gardens, but it is up to the community to create, cultivate and manage each garden. This downloadable packet is intended as a guide for community leaders and groups wishing to create a community garden on City owned and managed property in Austin and/or to obtain City assistance with water tap waivers when starting a community garden on privately owned property. 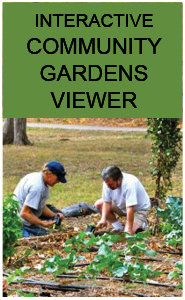 Following the instructions in the packet will help in planning a well-organized, sustainable garden, and will improve the likelihood of securing City endorsement and permitting. Please note that this application is for City-supported community gardens, and is not required for the establishment of community gardens on property owned by churches, businesses and other private entities that do not need waivers for platting, site plans or water tap fees. For our Quick Guide to starting a community garden on City-owned land, please view our one-page information sheet, garden permit coversheet, or interactive community gardens viewer. Chickens, bees, goats, and more!